COLOR(S): All colors except white. With a heart that matches its large body size, the gentle and loving Briard breed is known for being completely devoted and loyal to their owners. They are intelligent dogs who will guard their loved ones with their life. Not surprisingly, these dogs make excellent watchdogs, as well as wonderful family pets. Having strong natural herding instincts, it is advisable to give this breed plenty of space. Briards are one of the most popular French herding dogs along with the Beauceron, Picardy Shepherd and Pyrenean. Originally, this breed suffered from problems with shyness and aggression in the 1970s but selective breeding has since resulted in good natured pets. Their long, shaggy hair encourages their likeness to the Beauceron breed. This coat is comprised of coarse hair that may be straight or slightly wavy. While they have naturally dropped ears, these are often cropped for show. Meanwhile, their long and bushy tails are left full. Briards have bowed front legs but maintain an impressive stature nonetheless. While this breed retains its ability for guarding and herding, they do make affectionate and playful family pets with loving hearts. It should be noted that the Briard breed can be wary towards strangers and contrarily well mannered among family. These dogs are active, lively and protective with strong herding instincts, making them excellent family guard dogs. They are obedient, intelligent and loyal with the ability to learn quickly. Briards have thick, long coats that should be brushed regularly to avoid matting and maintain cleanliness. Occasionally this breed suffers from PRA (progressive retinal atrophy), hip dysplasia and gastric torsion. Briards are also susceptible to bloat which is a major issue to large, deep chested dogs. Briards do not need as much exercise as some of the herding breeds, but they still need the opportunity to stretch, have daily walks and run in open areas when possible. Generally, Briards are easy to train thanks to their high level of intelligence. They should be treated consistently and fairly. The do not respond to harsh or unjust training. Instead, owners should maintain patience and be stern and confident with their training routine. Briards may require a certain firmness with training but this should never turn into anger. 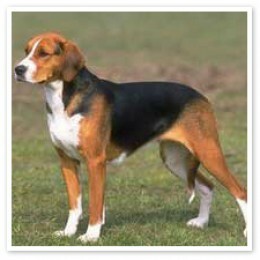 If poorly handled or trained, this breed will become withdrawn and potentially aggressive. They are not recommended for first time dog owners, so be sure to properly research the breed before adopting. Briards require regular training, attention and leadership from their masters.